We MAKE it NEW for YOU! TIRED OF DRY, CRACKED, & PEELING? 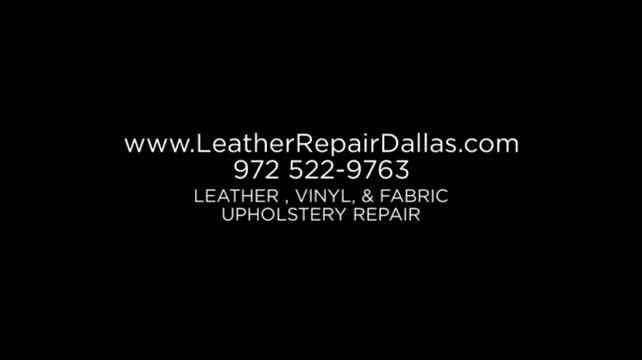 Dallas Leather Reconditioning Specialist are the leader in the repair, reconditioning, protection, and color restoration of leather, vinyl, fabric, plastic and carpeting in the automotive, furniture, commercial, and residential markets.
" Why Buy New When We Can Restore it at a Fraction of the Cost? " Restore Your Faded & Discolored Leather. Affordable Leather Restoration, Leather Repair, Leather Recoloring, Leather Reconditioning in Dallas, Frisco, Plano, Mckinney, Southlake, Irving, Allen, Garland, Addison, North Richland Hills, and more! Contact Us NOW - FREE Quotes! Proper leather care should include professional cleaning every six months. Our certified leather specialists will carefully identify leather types and select the products specifically designed for the cleaning and finish of your leather. Your fine leather products are unusually susceptible to scratches, cuts, fading, and other damage. Body oils, lotion, perspiration, and ink can also cause major problems for leather. Your Dallas Leather Reconditioning Specialist can make it new for you! Complete color changes can be performed to restore your damaged leather. Problems such as fading, color loss, or discoloration can be corrected with pigments and dyes are precision matched/ color matched to your desired hue and finish. To ensure its lasting beauty, leather must be properly maintained.